KOHZU recognizes that one type Z stage does not work for all requirements which is why we offer three different solutions. Z stages are a vertical mount of our robust linear stages. The Z-Lift offers higher payload axes allowing for the payload to be directly over the bearings. The Z-Wedge allows for the ultimate stiffness and high payloads. Motor driven stages can be upgraded with rotary or linear encoders, gearboxes along with cleanroom grease. 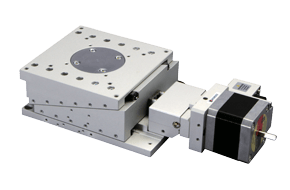 KOHZU’s Z stepper stages offer best in class performance vertical motion. The Z-Wedge and Z-Lift stages are very popular for semiconductor applications where precision, stability and reliability are critical. As with all our precision products, manual or micrometer driven vertical stages are available.